Selling short for sellers. 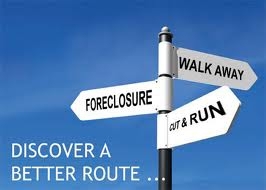 Short sale your home and avoid foreclosure. Know your options, call Jeanie Elliott, certified SFR Short Sales & Foreclosure Resource, Collin County real estate Broker specialist marketing and selling the Frisco, Fairview, Allen, Lovejoy ISD, McKinney, Parker, Prosper, Celina, Plano, Lucas, Wylie, North Dallas, Texas areas since 1980. Don't know what a short sale is? A short sale occurs when you owe more than what your house will probably sell for. This situation is often caused by prices in an area declining and/or a slow real estate market. Short sales can be a way for homeowners to prevent foreclosure and pay off their loan(s) with the lender by settling and selling short. However, they are complex transactions and the procedures and approval processes do vary greatly with the specific lender(s) that are required for each potential short sale transaction in order for the homeowner to be able to sell and achieve this goal. First, get an idea of the true market value of your house. Since paying for a licensed appraiser may not be the best way to start if you are your already on a tight budget, an experienced local REALTOR® that knows the current conditions of the local real estate market is a sound way to get a realistic opinion of your home's value. Jeanie Elliott REALTORS specializes in the Frisco, Allen, Fairview, Lovejoy ISD, Parker, Lucas, McKinney, Melissa, Murphy, Prosper, Celina, Wylie, Plano, Richardson, The Colony, Little Elm and the North Dallas real estate market areas, and Jeanie Elliott, licensed Texas real estate broker since 1980, is also a SFR, certified Short Sales & Foreclosures Resource Broker, and has received training, skills, and experience in the sales and purchase procedures for distressed properties such as REO's, bank owed real estate, foreclosure properties, and short sale transactions. When the time comes to sell your home, Jeanie Elliott REALTORS, ABR, SRES, SFR, ALHS, CHMS, M.S. BUSINESS, BROKER/OWNER can help. Use our expertise and knowledge of the local real estate markets in the Collin County, North Dallas and North Texas areas to be able to determine if you are able to short sale your current home. Contact us today. Next, be sure to figure in your closing costs. A qualified real estate professional like Jeanie Elliott, Broker/Owner of Jeanie Elliott REALTORS and an ABR, SRES, SFR, ALHS, CHMS, M.S. BUSINESS, REALTOR/BROKER will take into consideration all the required closing fees such as title report, appraisal, escrow, property taxes, and broker fees to estimate your final total costs at closing. 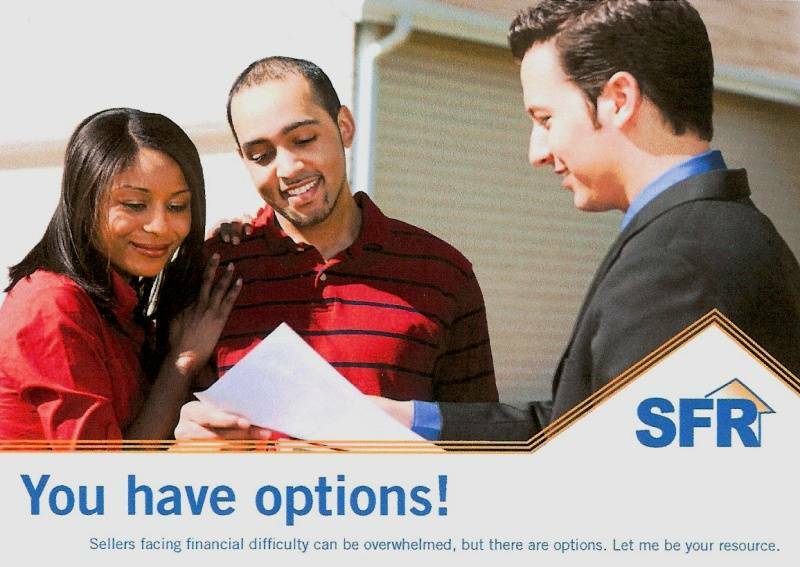 Finally, call your lender(s) and let them know of your situation. They may even have a special department that handles short sales. Ask about their particular required steps to obtain approvals for short sales. Some lenders will be more able to work with you than others. They may be able to lessen your loan principal or make other arrangements. Your lender(s) will have to give consent for the final sale and the approval of any short sale selling price and closing costs. It has been our experience, that many lenders do prefer homeowners that are facing potential foreclosures and going through financial hardships, to use the professional services of an experience SFR, certified Short Sales and Foreclosure Resource broker that has the specialized training and understands how to market these types of listings and work with lenders in these types of transactions in order to expedite the sale and closing. One of the biggest struggles for home sellers facing financial difficulty is understanding their options. Jeanie Elliott of Jeanie Elliott REALTORS has received the specialized training, skills and experience to explain these options and strategies to homeowners so they can make the best choice of which options are available in their specific situation and, therefore, be better informed to be able to make the best decision for their future. These decisions will, most likely, affect their ability to purchase again in the future and get another home mortgage when their financial situation improves at a later date. Some home sellers that are facing financial hardship fail to think about the possibility of their financial situation improving at a future date, when at that time, they will most likely want to purchase another home as their primary residence instead of being stuck with renting or a poor credit history that is not conducive to getting a home mortgage and purchasing another home. Although renting an apartment or house may be where they will end up after selling their existing home or residence on an approved short sale transaction or if unfortunately they end up losing their home to a foreclosure situation, most people do decide later on even years later, that they want to own their own home again, after their financial situation has turned around and conditions are right for them. These are some of the areas where a certified SFR broker can help sellers to think through their situation and be able to reach the conclusion of what course of action is best for the home sellers that are facing a potential foreclosure, and which options might still be available for them to pursue to avoid a foreclosure if at all possible. One of the biggest struggles for sellers facing financial difficulty is understanding their options. I have been trained to assist in explaining options and strategies to homeowners and sellers so they can make the best decision for their future. Short sales in Lovejoy ISD; short sales in Fairview; short sales in Allen, Texas; short sales in Frisco, Texas; short sales in McKinney, TX; short sales in Prosper, Texas; short sales in Celina, TX; short sales in Parker, Texas; short sales in Lucas, Texas; short sales in Plano, Texas; short sales in Wylie, Texas; short sales in North Dallas, Richardson, Celina, Melissa, Murphy, The Colony, and Little Elm. Ms. Elliott has over 30 years full-time real estate experience including the sales and marketing of foreclosures, foreclosure properties, REO's, bank-owned listings, foreclosure listings for sale, REO homes and lots, distressed properties, foreclosed lots for new homes, new home foreclosures, new home REO properties, foreclosed new houses, bank owned new homes, bank owned townhomes, luxury REO townhouse, luxury foreclosures, luxury REO estate homes, country estate foreclosed homes, foreclosed ranches and farms, foreclosed country property, REO houses for seniors, REO's in active adults housing communities, short sale transactions, short sale purchases, selling short transactions, houses selling short, short sale listings, bank discounted properties, bank foreclosures, REO, Bank Owned, foreclosures for sale, and bank owned real estate, houses selling under appraisal, below market real estate for sale, foreclosures on the market in the multiple listing service (MLS), foreclosure listings in the local market areas of Fairview, Lucas, Lovejoy ISD, Allen, Frisco, McKinney, Prosper, Celina, Parker, Wylie, Plano, Richardson, and North Dallas, Collin County, Texas. Ms. Elliott is also an Accredited Luxury Homes Specialist, and a CHMS, Certified Homes Marketing Specialist, and has been awarded these special designations for training and experience in these areas. These designations are a plus for the home seller that needs to sell their property on a short sale situation and needs the home staging skills to market the home to sell quickly on a potential short sale transactions. Also, the ALHS designation and training is especially beneficial to those home sellers that own real estate that are in areas known for luxury real estate, are considered luxury properties and need the type of marketing skills to attract the luxury home buyer that will consider a short sale transaction in their luxury home search for the right property.